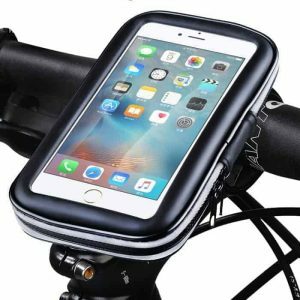 If you’re a keen rider come rain or shine then the Motorcycle Waterproof Mobile Holder Bike Phone Mount would be a perfect buy. The weatherproof covering allows use of the touchscreen as normal, so you can still use all of your features whilst keeping your phone safe in rains or storms. Motorcycle Waterproof Mobile Holder Bike Phone Mount includes a waterproof enclosure and a rotating mount designed to safely and securely hold your smartphones and electronic devices on bicycle or motorcycle bars. The waterproof enclosure keeps your devices sealed from water, dust, dirt and sand, and provides full touchscreen functionality with its large transparent window. The fully adjustable ball head joint with 360 degree rotation and locking system allows you to adjust the devices for customized portrait and landscape view. Keep your smartphones and electronic devices safe and dry in the waterproof enclosure with full touchscreen functionality. 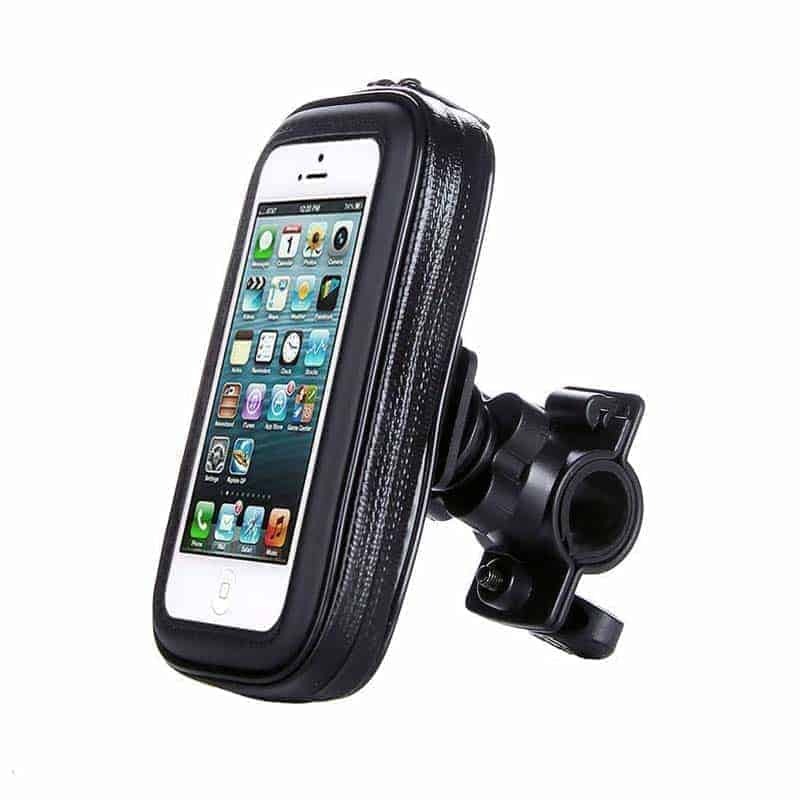 Motorcycle Waterproof Mobile Holder Bike Phone Mount fits motorcycle and bicycle handle bars up to 1.38 inches / 35 mm maximum diameter. Fully adjustable ball head joint with 360 degree rotation and locking system for customized portrait and landscape view. 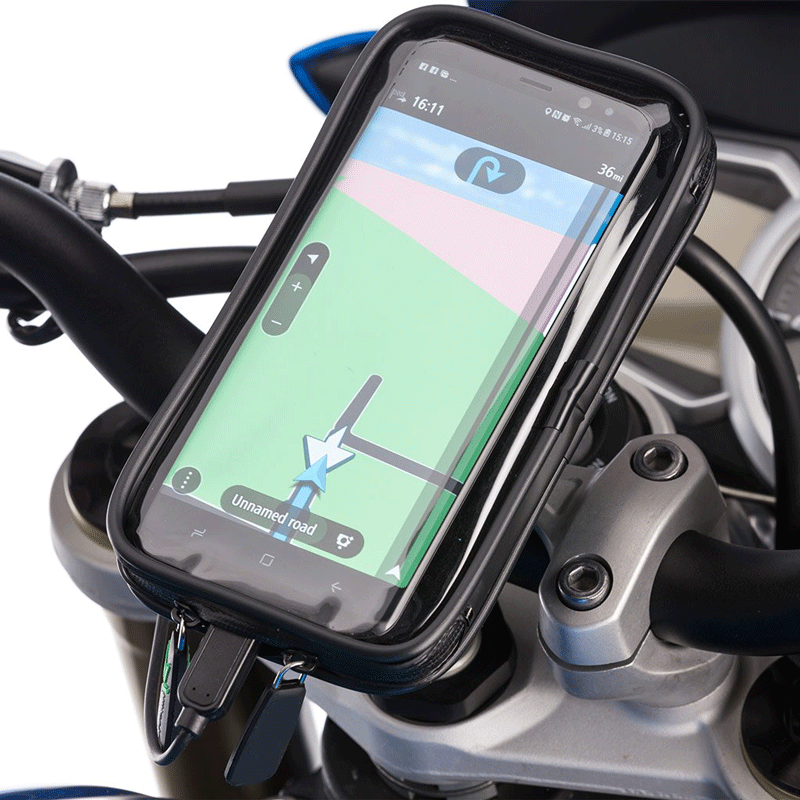 360 Degree Rotation- Change orientation of the case from portrait to landscape mode in seconds. Easy Installation- Ease to adjust clamp with locking mechanism facilitating quick mounting and release. Shockproof- Twin shock foams to absorb shocks in those terrains and to ensure perfect fit for devices with varying thickness. Water resistant PVC coated zips. 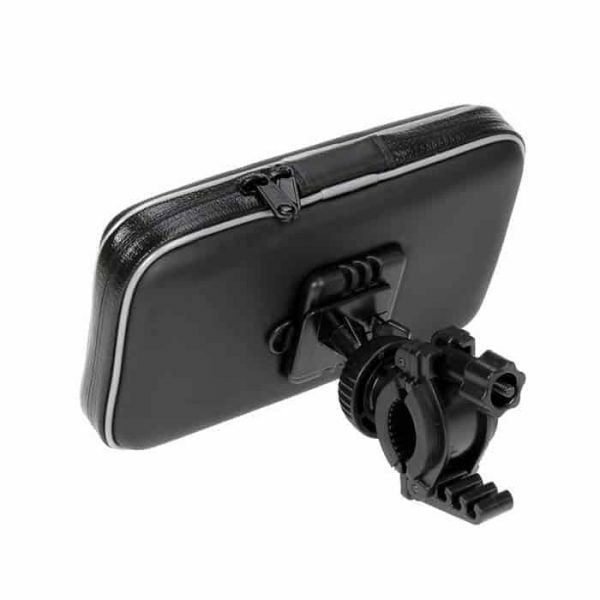 Sturdy Construction- High grade anti-slide Croc grip with rubber inserts slip proof grip and dual slide lock to connect with case ensure zero displacement of the case. Works as described. Did a water tap test and no water inside. Good buy.